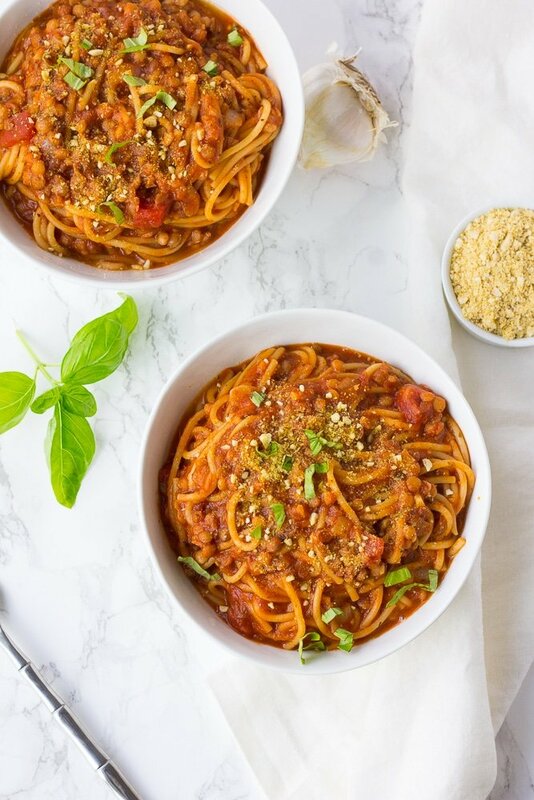 Instant Pot Spaghetti – this easy yet delicious family friendly recipe takes less than 10 minutes to prep for, and cooks in the Instant Pot in just 9 minutes. 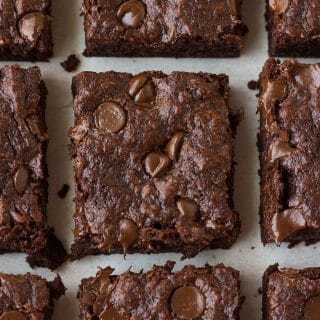 Best yet, you’ll only have one pot to clean! 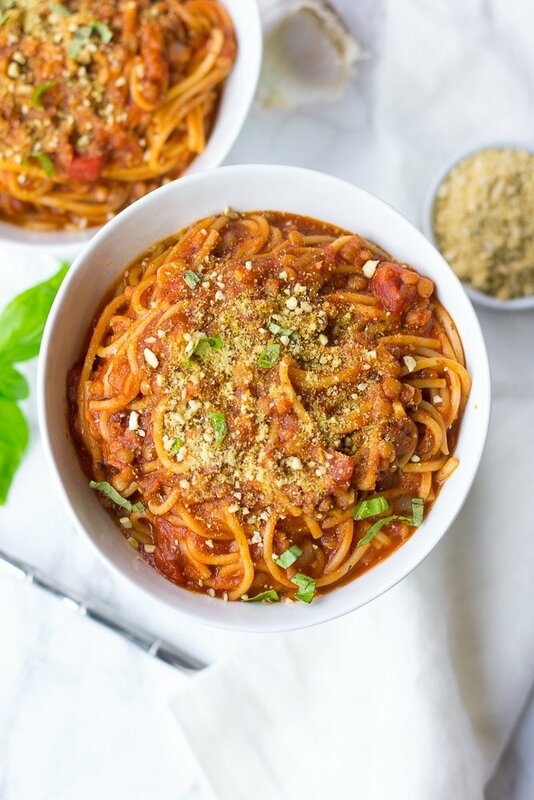 This Instant Pot Spaghetti tastes better somehow than when I make it the regular way. I don’t know what it is, but the flavors are richer and the lentils taste “meatier”. It’s also a great meal to get your kids to eat more legumes. My kids eat this up, lentils and all! My older twins (10 years old) are both playing soccer now, and I can tell that their nutritional needs are growing with all the physical activity they do. 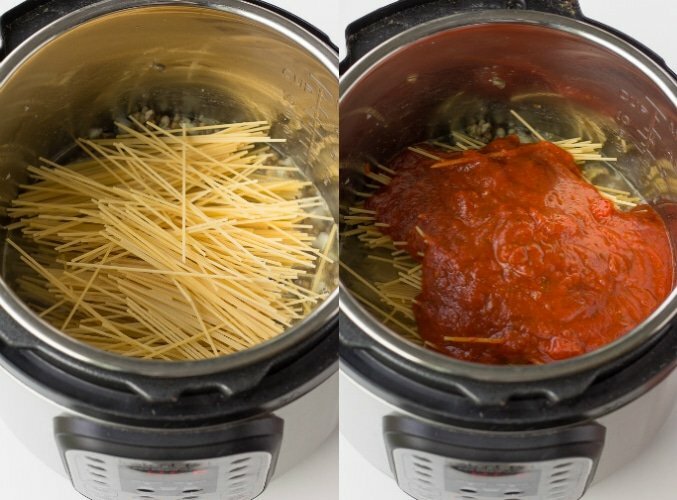 HOW DO YOU MAKE INSTANT POT SPAGHETTI? It’s so quick and easy. Push the saute button on the Instant Pot. Add the olive oil, onion and garlic and cook for a few minutes. Now add the lentils and salt, and stir. Nest, pour in the water and de-glaze the bottom of the pan by scraping it with a spatula. 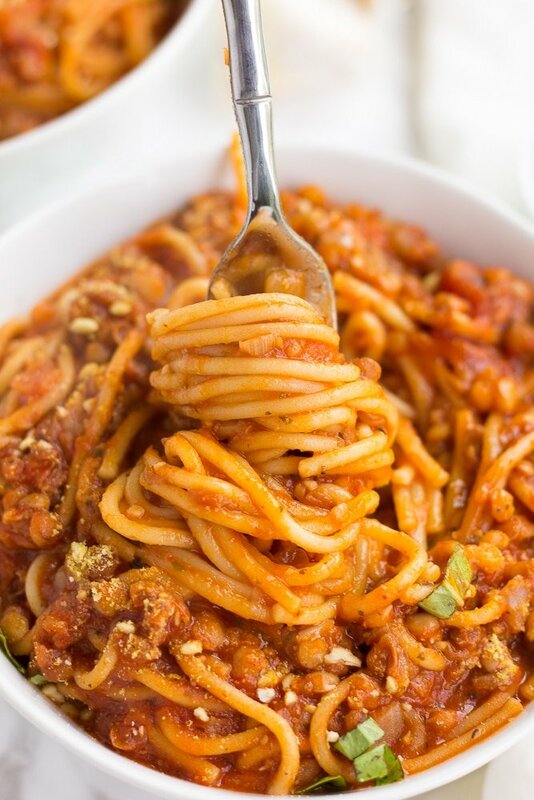 Break the noodles in half and place them in the water, then pour the marinara sauce on top of the noodles. Push the noodles down, making sure to cover them in the liquid. TIP: Make sure you use a high quality marinara sauce, I use Trader Joe’s tomato basil sauce, it’s my favorite! Place the lid on, seal and set to high pressure for 9 minutes. Once it beeps, do a quick release carefully, so the noodles don’t overcook. Stir everything together well after removing the lid. It should look something like this after stirring. That’s it! 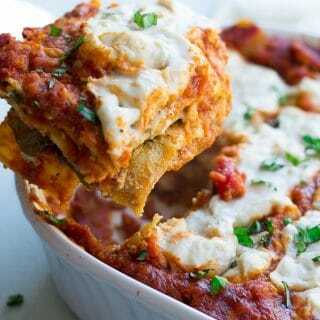 Serve with vegan parmesan, fresh basil and maybe some crusty bread. 12/30/19: Instructions have been updated slightly to help prevent the “burn” message, as many people are having trouble with the newer models of Instant Pots. 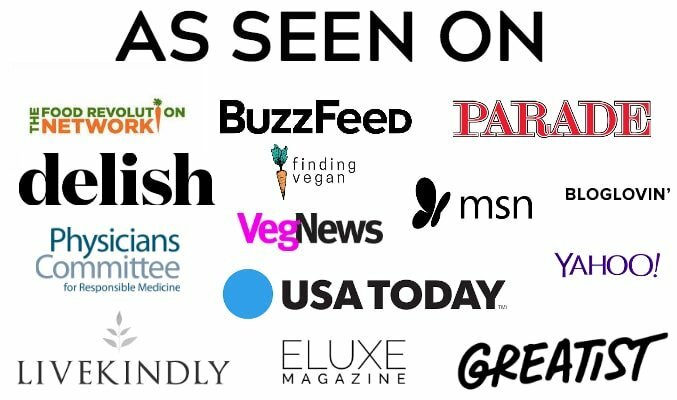 Mine has never given me the burn message, but after doing some research, I’ve learned there are some things you can do to prevent this. This is why I now suggest you add the water AFTER sautéing, and de-glaze the pan by scraping it with a spatula. This should help with the burn message. 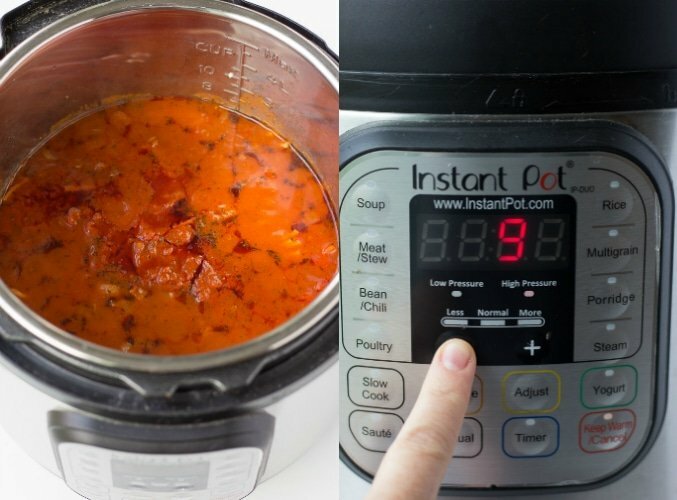 For more troubleshooting, read through this article on why you might be getting an Instant Pot Burn Message. 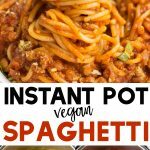 Instant Pot Spaghetti - this easy yet delicious family friendly recipe takes less than 10 minutes to prep for, and cooks in the Instant Pot in just 9 minutes. Press the saute button on the Instant Pot. When hot, add the olive oil, onion and garlic. Cook, stirring, for about 3 minutes until the onion in translucent. Now add the salt and cooked lentils. Stir, then turn off the saute. Pour the water in and using a spatula, de-glaze the bottom of the pan to get any stuck bits off the bottom (this helps to avoid the "burn" message.) Add the spaghetti noodles, broken in half. Then pour the marinara on top of the noodles, and push the noodles into the liquid to cover. Don't stir. Do a quick release so the pasta won't overcook. Stir everything together, then serve with vegan parmesan and bread if desired! I haven't tested this recipe with gluten free spaghetti, but I think it would work. 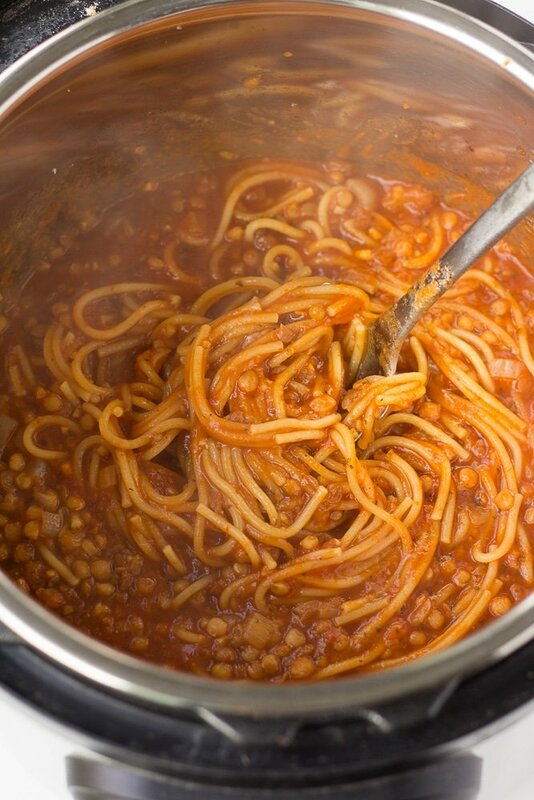 I always make this with pre-cooked lentils, the packaged kind in the produce section at Trader Joes. 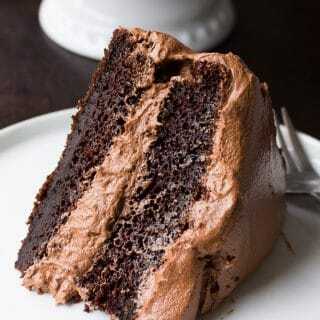 You can also make your own from scratch. 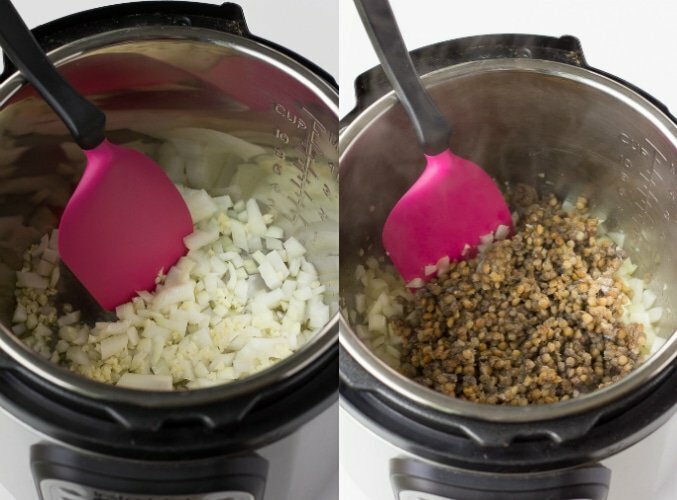 Use 1 cup uncooked green lentils, and 3 cups of water. Bring to a boil on the stovetop, then simmer for about 30 minutes. Drain, then continue with the recipe.